Built in 1880 to service a busy fishing and local salt shipping industry in Kincardine, it is the only lighthouse built right “downtown”. Kincardine was home to major industries which required a safe harbour for shipping products. Salt was mined at the harbour; lumber and furniture companies needed a safe port. 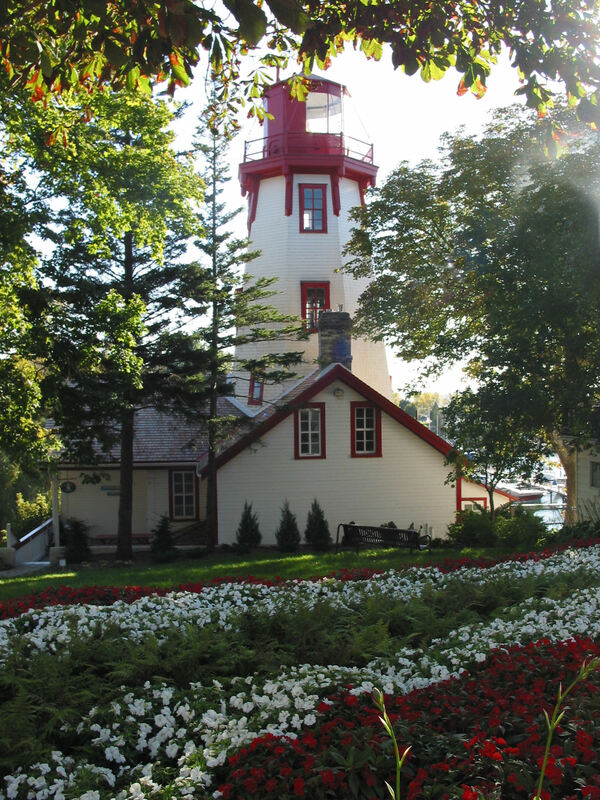 The Kincardine Lighthouse sits 24 meters (74 feet) on top of a two-story keeper’s house. The eight-sided tower rests on a stone foundation. The three levels of the lighthouse are joined by almost perpendicular well worn staircases totaling 69 steps, climbed at least twice daily by past light keepers. Barrels of kerosene, used to fuel the lamp, were hoisted up these stairs by the keepers. The tower is capped by an iron lantern and balcony, painted in the familiar “lighthouse red”. The first lamp had shutters rotated by weighted chains to make the light flash. In 1922, the lamp became electrically powered. A sector light at the end of the north pier has replaced the lighthouse as an official Aid to Navigation. However, the lighthouse is maintained by the Kincardine Yacht Club so that sailors, recreational boaters, and commercial fishermen can still use the light to enter the Kincardine harbour. Today, the keeper’s house and tower are home to a marine museum. Drop by for a visit between July 1st and Labor Day.